Teak (Tectona grandis) has been grown for more than 100 years, so it is a mainstay for many plantations. it is considered a very valuable wood because of its ability to withstand weather. It even prevents any metal used in it from rusting. Teak is very stable, which means that it does not warp when subjected to variations in humidity and temperature. Teak is not native to Costa Rica but grows very well there. There are many monoculture plantations of teak in Costa Rica. It is a pioneer species; in other words, it prefers no competition, so for the first few years, it has to be cleared of weeds and kept from being shaded. After about three years, the trees are large enough to shade out competing vegetation. Teak requires very good drainage and rich soil. It prefers a dry season of about three months. Teak is usually planted when the seedlings or clones are four to six weeks old. At this time, about 96 trees will fit in a 1-meter flat, as you can see in the picture on the left. On our plantation, because of the richness of the soil, we are planting in a grid of 3.5 x 3.5 meters. The picture shows one of our managers instructing the workers on how to plant the trees. Teak grows amazingly fast, particularly for a hardwood. Those of us from northern climates are used to hardwood trees taking forever to get any size. On Finca Leola, the teak seedlings are growing at half an inch per day! You have to see growth like this to believe it. 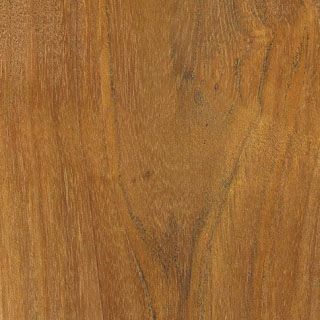 Teak rapidly puts on height as well as diameter. After the trees starting gaining height, you must prune the lower leaves. The most valuable trees are those that grow straight and tall with no limbs in the trunk area. By pruning away all except the top 1/3 of the leaves, you create superior wood. Because teak grows so fast, the plantation needs a lot of attention for the first three years. It was amazing to us when we returned to the plantation after four months. We were getting enthusiastic reports all along, but the impact of seeing the plantation was indescribable. We really knew that we had done a good thing and that our dreams were going to be realized. Teak produces between 12 to 26 cubic meters in volume of wood per year. Based on the observed growth on Finca Leola, we appear to be close to, if not at, the high-end growth rate of 26 cubic meters (the trees in the photo at left are only one year old). The price for teak has been going up steadily for many years, at a rate consistently over 6% per year. Currently, teak buyers from other parts of the world are having difficulty finding as many teak logs as they would like to buy from Costa Rican plantations. In early 2005, we started harvesting, processing, and selling teak thinnings from nearby farms in preparation for doing our own thinning. The furniture we are making from it is gorgeous. To see some uses for teak thinnings, see our Hardwood Furniture and Cabinetry photo page.